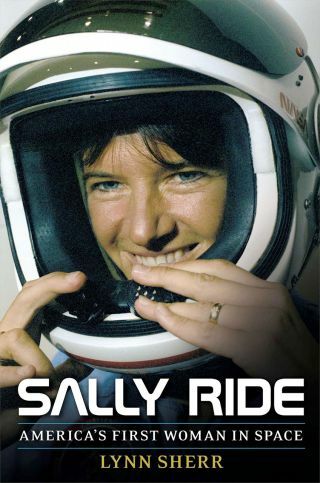 The cover of Lynn's Sherr's book about Sally Ride called "Sally Ride: America's First Woman in Space." Lynn Sherr — the author of the recently-released biography, "Sally Ride: America's First Woman in Space" — paid tribute to the late astronaut Thursday (Oct. 2) on the satirical news program "The Colbert Report." The nearly 7-minute interview covered everything from the Space Race to Ride's unique place in history as NASA's first female astronaut.